Water Insurance Claims – Makris Law, P.A. Pipes, waterlines, and appliances break – it is a part of life. Lucky you have homeowners insurance or commercial property insurance which typically covers water insurance claims, but with several limitations and exclusions. Whether the item broke unexpectedly or accidently by you or someone else, the resulting water damage is likely covered by your insurance policy. Sometimes the break is hidden from view and is not noticed until a symptom of the broken pipe is discovered, such as a substantially more expensive water bill, dampness, or even mold. Makris Law, P.A. is a Tampa Bay insurance claim law firm specializing in homeowners insurance claims and commercial property insurance claims, including water insurance claims and flood insurance claims. 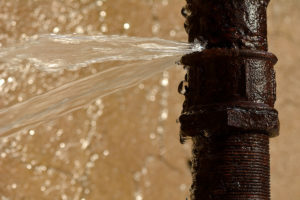 If you experience damage to your home or property caused by a burst or broken pipe, water, flood, or mold, please contact us promptly for help. If your insurance company is delaying your water or flood claim, denied your water or flood claim, or underpaid or lowballed your water or flood claim, contact us today.